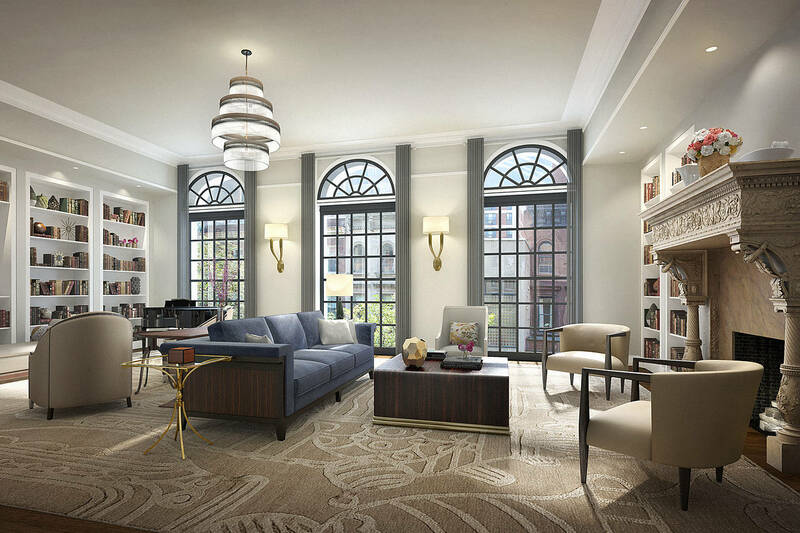 Russian billionaire Alexey Kuzmichev spent $57.5 million on two units at the Manhattan condominium 33 East 74th Street with plans to combine them into one large home, according to people with knowledge of the transaction. One of the units, measuring about 10,000 square feet, closed last week for $42 million, said Katherine Gauthier of Douglas Elliman Real Estate, who represented the developer Daniel Straus, with colleague Lauren Muss. The buyer plans to combine the unit with a roughly 3,800-square-foot apartment they recently purchased for $15.5 million, Ms. Gauthier said. Elliman’s Richard Steinberg represented the buyer. The larger unit comprises the first four floors of a century-old townhouse known as the Atterbury Mansion, part of an assemblage of nine adjacent buildings that make up the 10-unit condominium. Ms. Gauthier said the buyer went into contract on the larger unit in October, then wanted more space. The buyer decided to buy an adjoining three-bedroom and combine the two. The larger unit had been asking $45 million, while the adjoining unit was priced at $16.5 million, Ms. Gauthier said. Mr. Straus purchased the buildings about five years ago from the Whitney Museum of American Art for roughly $92 million. He first put the Atterbury Mansion on the market unrenovated for $38 million, but decided to take the townhouse off the market and divide it into two units connected to the rest of the development. The other Atterbury unit, which encompasses the top three floors, has closed for $31 million, Ms. Gauthier said. Mr. Kuzmichev is a founding partner of the commercial and investment banking group Alfa Group. He could not be reached for comment. Corrections & Amplifications: The unit sold at the Atterbury Mansion went into contract for $42 million. An earlier version of this article incorrectly said it sold for $45 million.